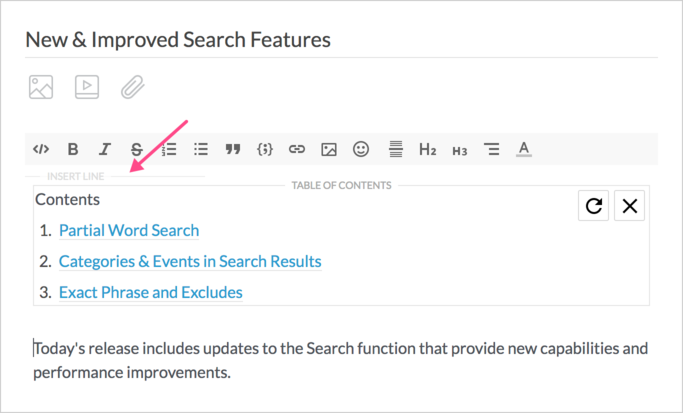 When a Table of Contents or other block element is added to the top of an article, a new 'Insert Line' option is now shown above it, making it easier to insert content above the item. Adding mentions on mobile has been made easier and clearer! After typing "@", a dialog appears that allows you to search and select the user to mention.